For those lazy fall days where the weather likes to go from warm to cool at a moments notice, nothing beats a nice flannel. Bonus points if you can throw it back to the 90's and tie it around your waist without being made fun of (I can't pull this one off. My friends are jerks). Throw on a necklace to make it look like you tried and you're good to go! Brushing your hair is totally optional. 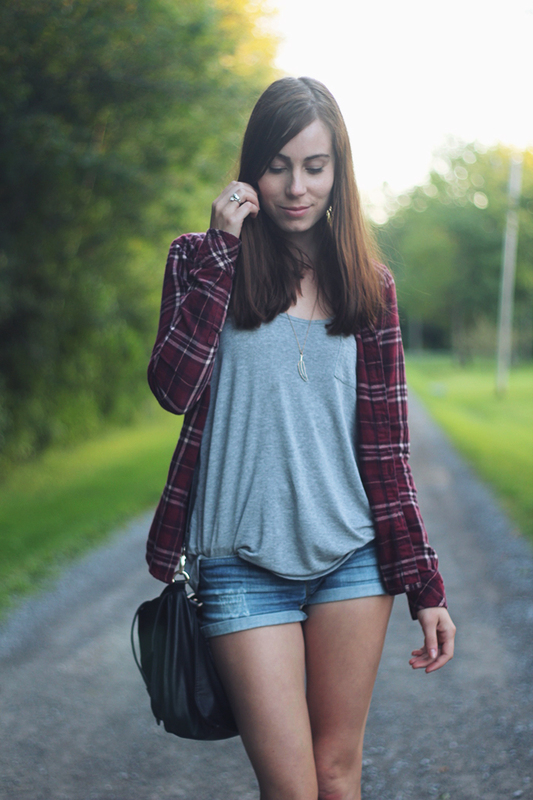 Gorgeous outfit, Denim, Plaid and combat boots--can't go wrong there. LOVE this outfit and you totally pull off the flannel without looking like a 90s reject. Which is entirely possible to do, imo. But hard. I love looks like this! They're my real favorite because they're so comfy!